This album represents the "evolution" of the soul on the way of Light. From birth across the water followed earth, the sky and always higher as Jonathan Livingston le goéland by Richard Bach, "Ever Higher" will transport you by its wings on the path leading to the Peace and Harmony of a better world. A musical composition that resounds in the inner heart bringing back the listener to his own emotion. We are pleased to make you discover it on Radio PLENITUDE, every day, from October 31 until November 14, before it enters in a regular programming. 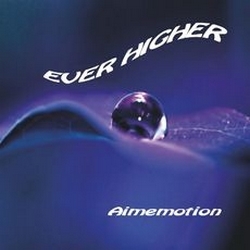 Moan by Franck Courtheoux alias Aimemotion, new album june 2013 listening on Radio PLENITUDE from October 31, 2014.